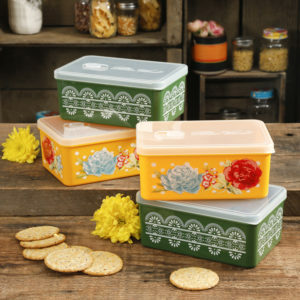 Walmart has The Pioneer Woman Rectangular Containers, Set of 4 for $9.97 (Reg $20). You can choose in-store pick up to save on shipping charges. 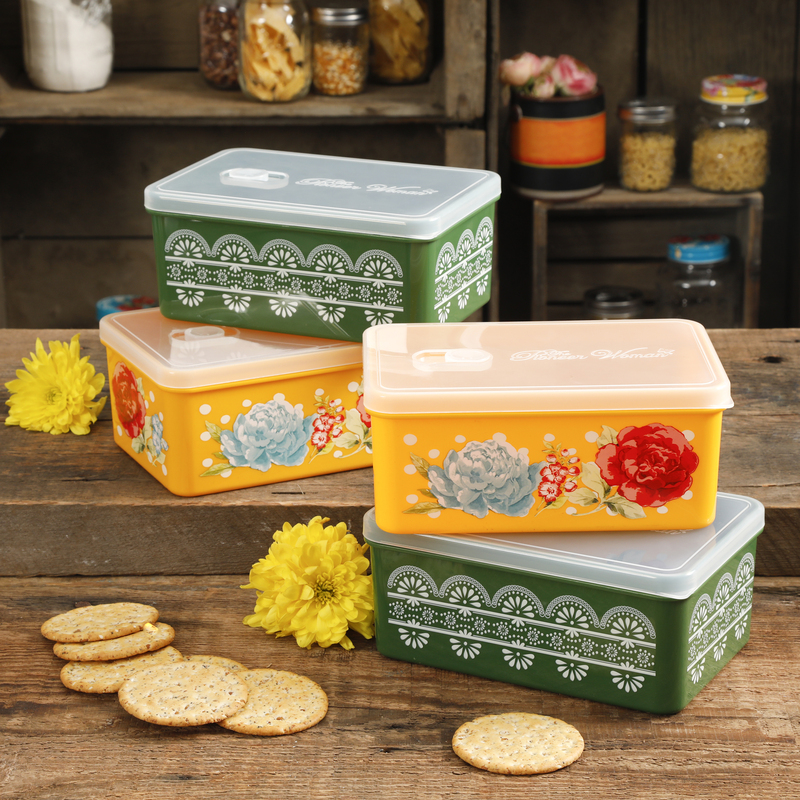 These helpful storage containers are perfecting for packing all your favorite lunches to-go while helping to keep food fresh and tasty. The rectangular container set features secure lids and built-in vent tabs for easy reheating.